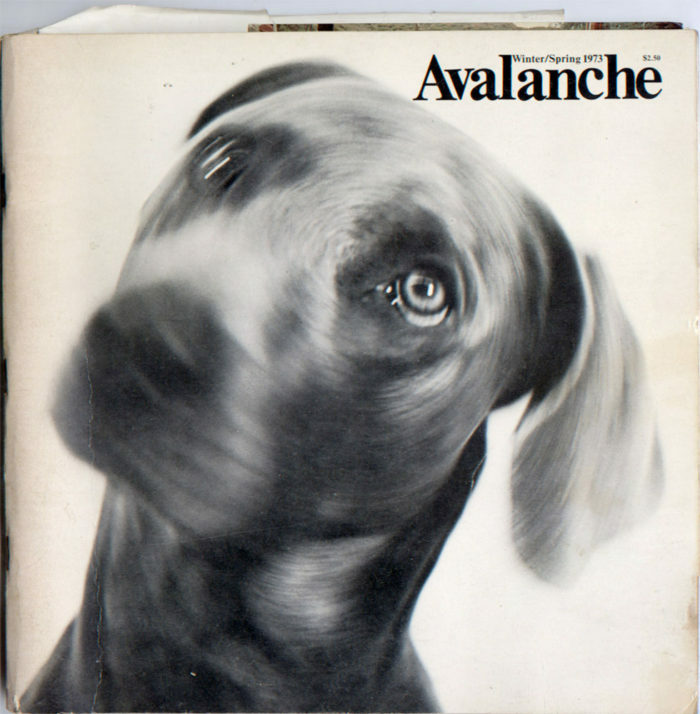 Founded by Liza Béar and Willoughby Sharp, Avalanche published 13 issues between 1970 and 1976, focusing on up-and-coming conceptual and performance artists. 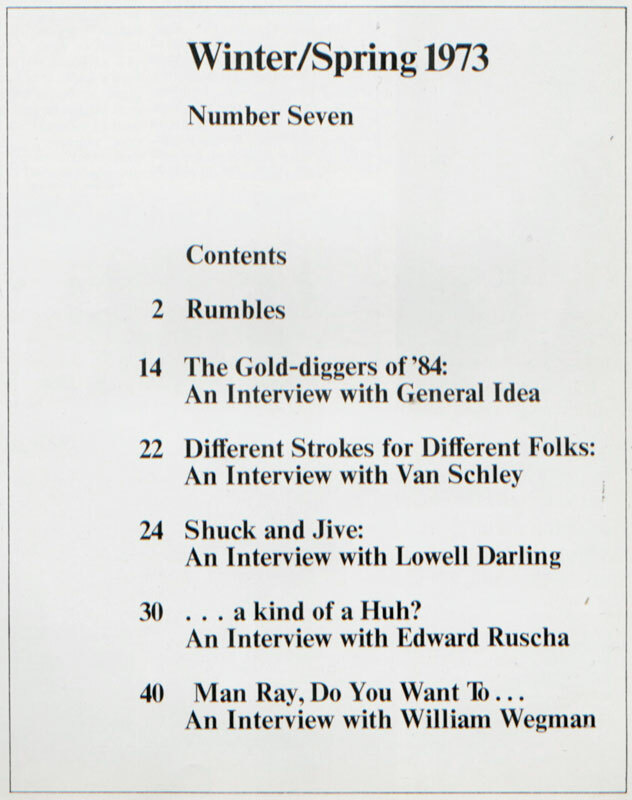 Winter 1973, table of contents: Van Schley, Lowell Darling, Ed Ruscha. See more here.